HOLY CRAP. WHERE DO I EVEN BEGIN? Okay, honestly I was pretty skeptic at first because of the tagline. "Are they friends or are they something more?" I mean, obviously they're something more. Otherwise, this book wouldn't even exist! I just thought it sounded cheesy. Buuuut anyway, the blurb immediately wiped off any skepticism because I'm a fan girl... and Caitlin's life is basically The Dream. While I'm not the merchandise collecting, Twitter stalking type, I am admittedly boy band crazy. Reading Caitlin's initial interaction with Marcus and the rest of Gezellig already got me flailing. As the story progressed, I found myself enjoying this novella a great deal. I liked how the author balanced the fantasy and reality in the story. The plot isn't exactly new but what I think makes it special is how believable the story is on some level. 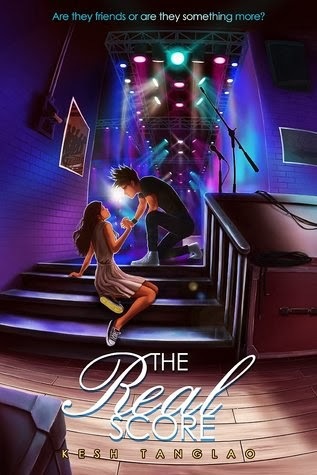 You'd think that a book about an ordinary girl and a friendship with a pop star would sound too good to be true. But in The Real Score, everything felt... well, real. Their relationship blossomed naturally over the years so by the time they got together, none of it felt forced in any way. They went through the motions of building a relationship (the good and the ugly) so they felt more like regular people, except for when world tours and crazy fans would get thrown in the picture of course. Caitlin was very relatable so whenever she would get a taste of Marcus' popularity, you could easily put yourself in her shoes. It's quite the reading experience, especially for fan girls, if I may say so myself. In less than 200 pages, the author managed to tell a story that spans 6 or 7 years at a proper pace. I liked how chapters of Marcus and Caitlin's relationship was introduced by a part of the no-holds-barred interview they agreed to do. I think they were great introductions to different times in their lives. The way they went from being bestfriends to obviously-more-than-friends was one of my favorite things about this book. It's like you get a bit of feels with every chapter instead of just getting it all at the end and feeling unsatisfied. In addition to that, I liked the minor characters. It's a novella but somehow even they felt alive. They added so much more fun to the story. Not only does it give you romance, but it also talks about taking risks, going on an adventure, fighting for what you want - real life issues that people in their 20's might be experiencing. It added depth to the story without overpowering everything else. The Real Score is a light and very enjoyable chick-lit for every Filipina out there - fan girl or not. 5 pink stars and highly recommended! 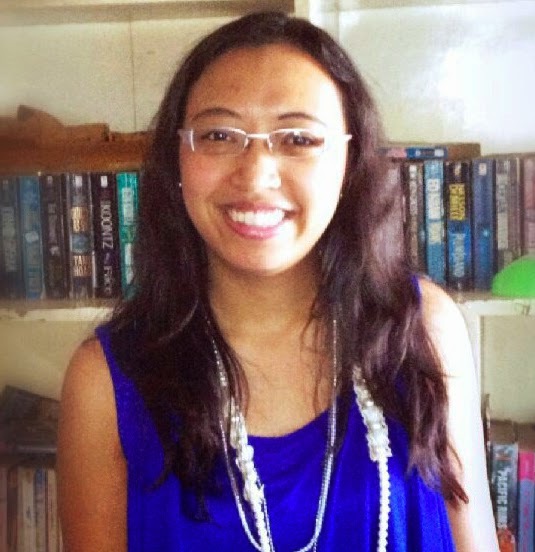 Kesh Tanglao is a full-time market researcher. When she’s not crunching numbers, she spends most of her free time watching TV shows, listening to music, and reading. 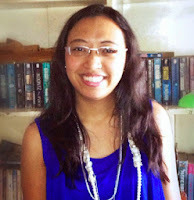 Also a self-proclaimed fangirl, she likes cheering for her favorite sports teams and supporting her favorite artists. The Real Score is her first published novella. Ahhh, another fangirl book. This sounds awesome, and yes, I have been dreaming about being friends- or at least, twitter friends- with the guys of my favourite bands. Haha!